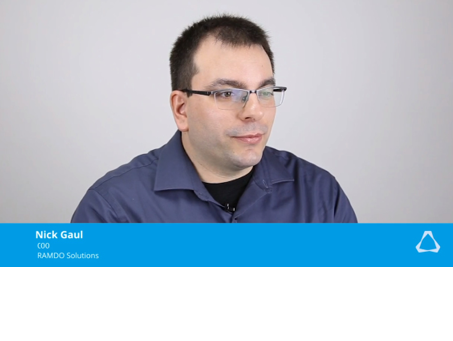 RAMDO Showcase Video Introductory Video to RAMDO from RAMDO Solutions. 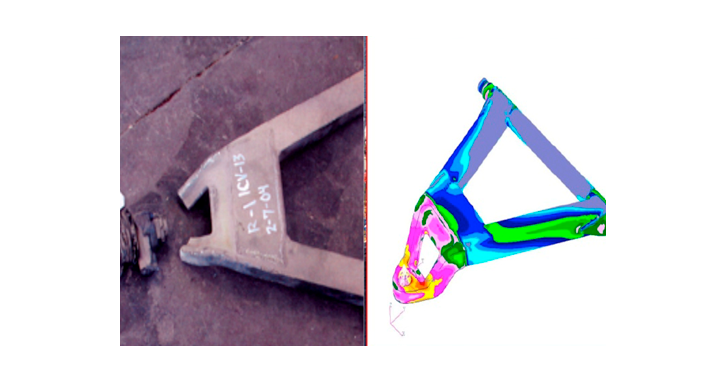 RAMDO is a complimentary CAE software that when used in conjunction with a design simulation package provides a more reliable product design. 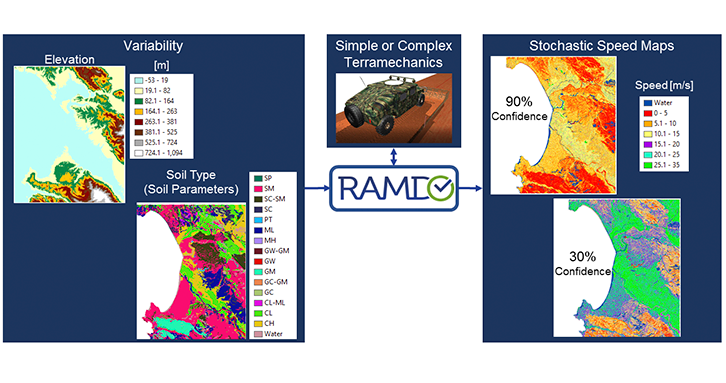 RAMDO allows engineers to take into account the variability of design inputs (materials, loads, etc.) 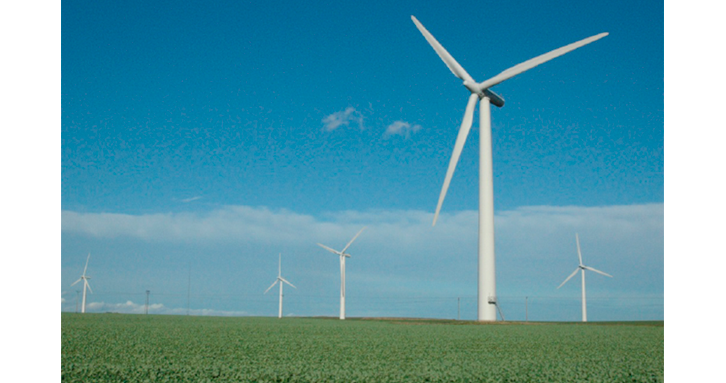 along with operating conditions and create an optimized solution. RAMDO uniquely performs this analysis with efficient use of computer resources, a user-friendly interface, and at a cost-effective license subscription. 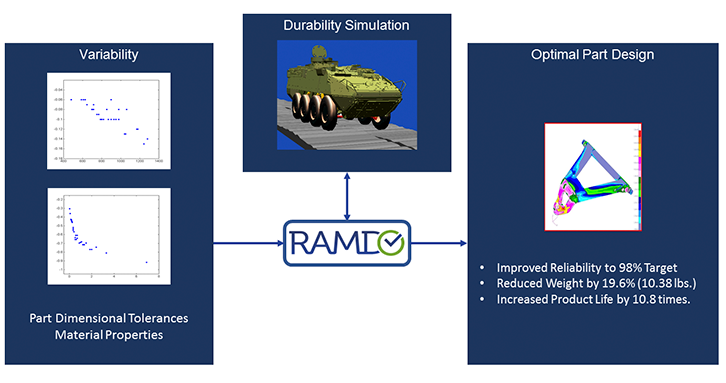 RAMDO Solutions, LLC was established in fall 2013 to develop the commercial software Reliability Analysis & Multidisciplinary Design Optimization (RAMDO) to support academia, industry, and the Department of Defense. 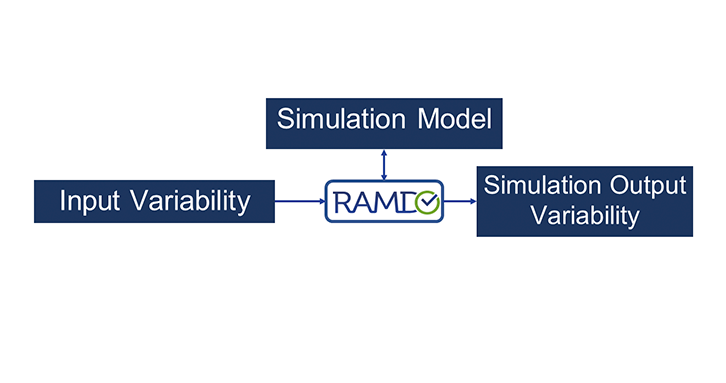 The research behind the reliability analysis methods in the RAMDO software first originated in 1995 under the supervision of Professor K.K. 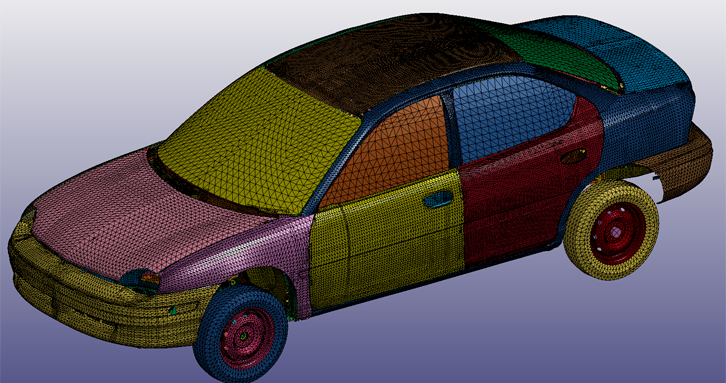 Choi at The University of Iowa in collaboration with the Automotive Research Center (ARC) funded by the U.S. Army Tank Automotive Research, Development & Engineering Center (TARDEC). 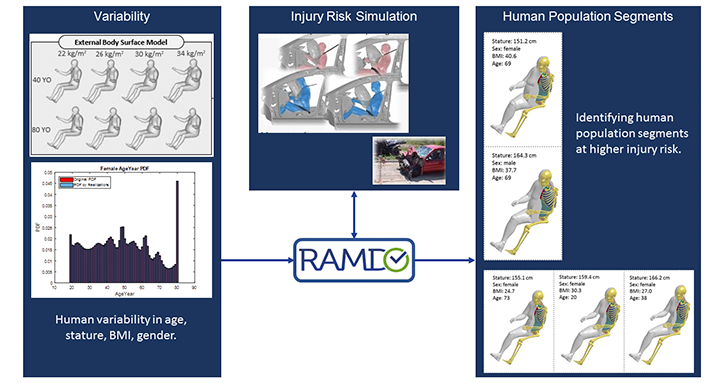 RAMDO has been successfully applied by users in the areas of: noise, vibration and safety design of vehicles, durability, casting process design, ship hydrodynamics, fluid structure interaction, welding design, superconducting magnetic energy storage system, electro-thermal polysilicon actuator, map generation, etc. 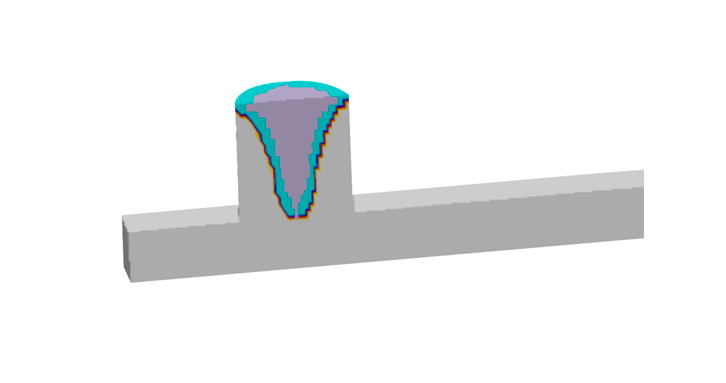 The primary goal of this product is to allow designers to incorporate the variability of input parameters into their simulation models. Thus, providing a better understanding of how variability affects the simulation output and allowing the decision maker to choose the desired level of reliability and confidence. An intermediate benefit of this tool is a reduction of computational time for UQ, reliability analysis, and RBDO. 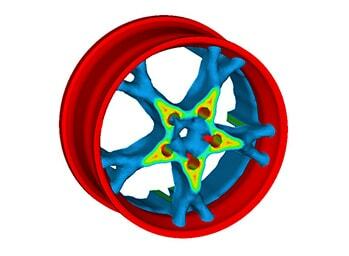 The result for the end consumers is a product design that usually includes reduced weight, lower costs, less frequent maintenance, as well as improved safety. 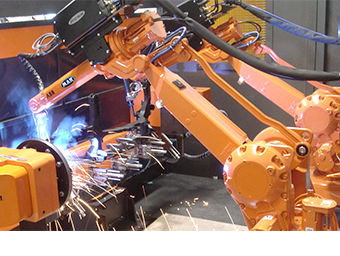 Aerospace: Mechanical/structural design of wings, engines, and interiors taking into account variability of materials, manufacturing, and operating conditions. Architecture, Engineering, & Construction: Structural designs taking into account variability of; wind loads, material properties for steel & concrete, and fluid flows for thermal distribution and solar loading. 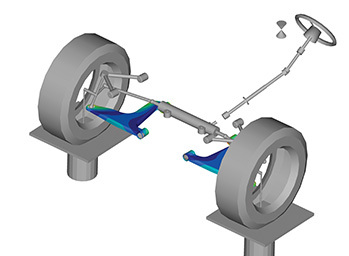 Automotive: Improving noise, vibration, and harshness (NVH) and durability of vehicles taking into account variability in loads, materials, and manufacturing. Electronics: Design of electric and electromagnetic devices such as motors, transformers, transmission lines, taking into account variability of materials, electrical and thermal loads. 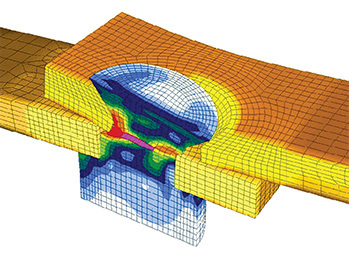 Oil and Gas: Structural designs of rigs, pipeline, etc. 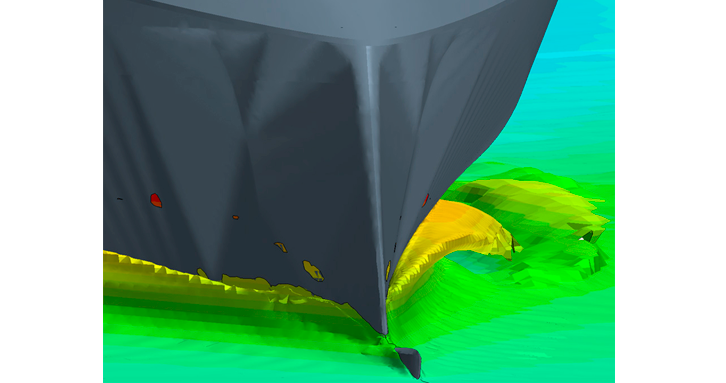 taking into account variability of wind load, sea loads, and materials. RAMDO has a bi-directional data link with HyperStudy.